The last thing on my mind in the summer heat is cooking. But eating well is always important for me, because without it I will simply not get things done, feel good while doing it, or thrive in a way that helps me enjoy a long day at work. I have always had the philosophy that I want to support myself in doing the best work possible. I know that we often feel frustrated about something going on at work and self-care feels like the last thing on our mind, that we either don’t have time or that we don’t deserve being treated like queens (or kings). The thing is, that is when we need self-care the most. This is an easy meal, nourishing and something you can prep at night (it can even be your dinner) and bring the next day for lunch. Stop saying you don’t have time or don’t feel like it. You will just start believing it is true. The real truth is that you cannot afford not taking the time or making the effort, because nourishment is how you thrive. "Nourishment is how we thrive"
Chop 1-2 cups of arugula. Use another spicy summer green if you prefer or based on what is locally available. 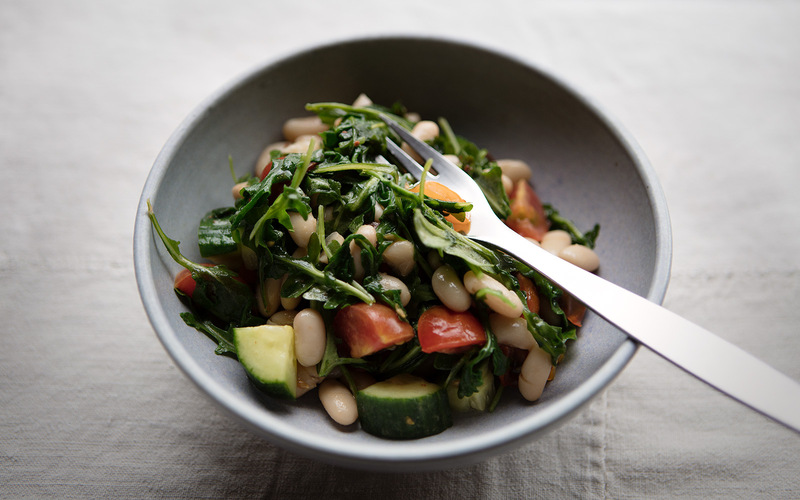 Mix with 3/4 cup of white beans, 1/2 cup of small heirloom cherry tomatoes, and 1/2 cup of European cucumber. You can substitute chickpeas or another bean for the white beans. Put ingredients in a saute pan with olive oil, and stir for 3-5 minutes with a dash of sea salt and freshly ground pepper. Mix with fresh herbs. You can also add chili for some heat. 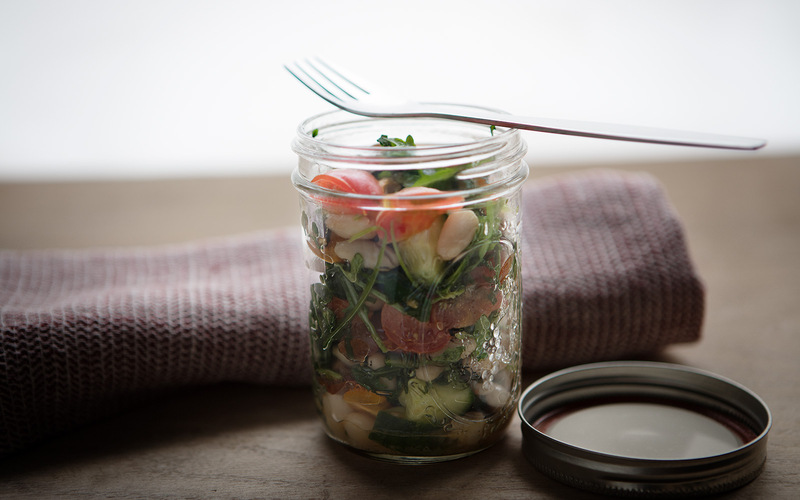 Put in on a plate to serve or bring it along in a jar for lunch at work.